The following report details the current state of geomagnetic activity and resulting effects on human consciousness. This can be used to guide one's activities in meditation, mass meditation, personal energy work, and self-mastery practices. Report: The impact of individual and coordinated mass meditations will be HIGH, with conditions expected to persist for approximately 48 hours. Geomagnetic conditions are continuing to stabilize, ranging from 2 to 3 of the KP index. The solar wind intensity from the passing coronal-hole system is reducing in intensity. Secondary geomagnetic upticks are possible over the next 24 hours, if a magnetic reversal takes place. Personal Effects: High synchronicities, precognition, deja vu, energetic downloads, and connectivity to cosmic energy systems. Social Effects: High capacity for telepathic exchanges in small or large groups. Universal Effects: High energy and information streaming in from the celestial bodies, like surrounding planets, as well as stars, the galactic sun, and other galaxies. Forecast: Meditations for the collective via outer work should have a high impact for approximately 48 hours. If a secondary uptick in geomagnetic activity occurs, conditions could reduce to a moderate level for meditations, but only briefly. Inner Work: Develop gratitude for the cosmic lessons received in the form of mirroring of oneself, like stubbing a toe, a friend being upset with us, or the genuine reactions of others and ourselves to life events. All is information that reveals the nature of self and reality. If one does not consciously invoke acceptance of circumstances and emboldens themselves to overcome those obstacles via inner growth, it is likely one will feel emotional upset and angst. But with purpose and dedication to self-mastery, all challenges can be overcome so as to develop wisdom, personal growth, and a spiritual character. Strive to know thyself and this will help one know the world and others. Outer Work: During quiet geomagnetic conditions, focus your meditations on forgiveness, social harmony, relaxation of tensions, and collective healing. Strive to be honest and transparent with your desires that affect others. See the other self an extension of your own being, developing unconditional love balanced by honest communication and clear agreements. When personal expectations are not met and communication with others isn't clear, this is an opportunity to reflect on the methods of how we manifest our desires (with honestly and explicit communication or cowardice, fear, and blind faith others know what we want). Social harmony is the constant building of trust with oneself and others, which creates inner and outer peace, harmony, and abundance. Note: The recommendation and impact of meditations report only analyze the electromagnetic (material) aspect of consciousness, operating within the subluminal electromagnetic spectrum. Other, super-material, energetic, or spiritual mediums of informational transference (telepathic and energetic effects of meditation) will likely still have a profound affect, even if the geomagnetic conditions are chaotic that day. Please do not assume this report is suggesting you avoid meditating on days when the impact is forecasted to be low. The human organism is energetically linked to the earth via electromagnetic interactions in the extremely low-frequency range (ELF). These frequencies interact with the global system via the Schumann Resonances, ranging from 7.83hz up to 39hz. The human body, particularly the heart and brain, resonate at the same frequency range, measured by an EKG and EEG. The heart is a piezoelectric liquid crystal oscillator that produces strong electromagnetic pulses, which are governed or attenuated by the brain, radiating outwardly up to 30 feet from the body. By way of inducing coherent states of mind (usually through meditation and/or chanting, sounding, yoga, or qi gong), the mind can focus the energies of the heart into a coherent field that is able to interact or "link up" with the global field. Dr. Michael Persinger conducted research on the global mind, postulating that the geomagnetic field, due to the Schumann frequency ranges, has the potential to link up with the human mind, allowing information to be "stored" in the earth's field. He was able to historically demonstrate that during times of low geomagnetic activity, individuals experienced greater spontaneous cognition or received telepathic downloads. Conversely, during times of high geomagnetic activity, telepathic downloads decreased. Dr. Persinger also worked with Igno Swann, an exemplary remote viewer who was involved in the DIA's Star Gate Program. Experiments were conducted that involved placing Swann in a coherent magnetic field with a second participant who was asked to look at a photograph. Swann then entered a meditative state and "viewed" the drawing via the coherent field and the other person's mind. This enabled him to draw statistically significant depictions of what the second participant was looking at. Dr. Persinger was able to prove that a coherent magnetic field provides an energetic medium for the exchange of information between minds. The geomagnetic field is the largest field on earth, immersing all living things and human beings within a coherent magnetic field. 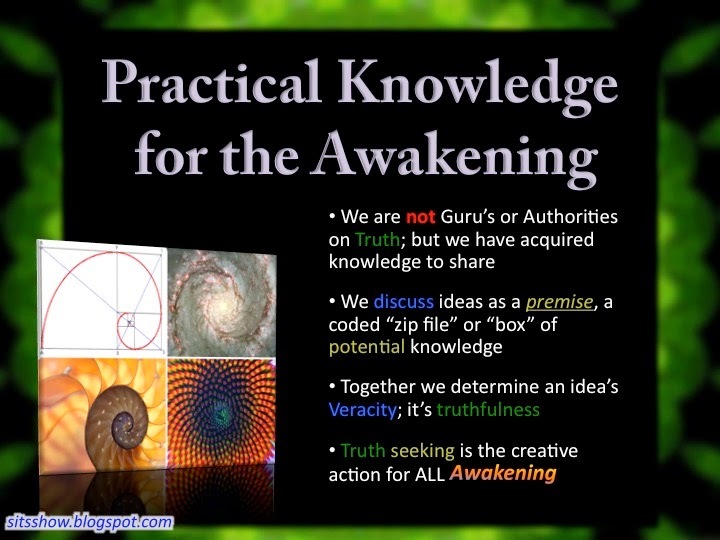 Via the principal of entrainment or synchronization, governed by electromagnetic sympathetic resonance, information within a human mind can be "upload" to the geomagnetic field, which can then be "downloaded" to other people and have stabilizing effects on any electric body. The greater the coherence of the individual, the more likely they are to inform the geomagnetic field. The greater the coherence of the geomagnetic field, the more likely the information can be shared between individuals. During times of low geomagnetic activity, the human organism's electromagnetic field embeds within the geomagnetic field (phase conjugation), allowing information to be exchanged between each system coherently (without degradation). During times of high geomagnetic activity, the human organism's electromagnetic field disconnects from the geomagnetic field, which has the effect of isolating each system from other systems. When people take the time to make themselves mentally and energetically coherent, by way of meditation techniques, while also visualizing or praying for peace, various types of stabilization effects can occur. The Maharishi effect stabilized social systems, reducing crime and overall suffering of people on earth. Dan Winter postulates that the effects of a coherent mind can be used to "steer a tornado" via a phase conjugate dielectric bioplasma produced by a shaman or person who has developed abilities in meditation and energy practices. In other words, an individual can produce a bioelectric field that allows them to merge with another field, influencing the second to some degree. This can be simply described by having genuine empathy and compassion for living energy systems, which could be people, places, weather systems, countries, and even the entire planet. Non-living empathy, with dead buildings made out of steel and aluminum, will reduce the coherence of the person, and are to be avoided. Meditating in nature or being surrounded by natural materials, like a wooden house or a cave, increases bioelectric coherence, strengthening an individual's ability to affect other systems. Conversely, attempting to link up with the earth's field from within an artificial "dead" structure, will reduce energetic embedding effects. Meditating in close proximity with other people, particularly after hugging each person for a least 20 seconds, will increase the individual's brain-heart coherence. This effect also transfers to groups, a kind of energetic tuning that increases the energy embedding effects mentioned above. Group meditation, after tuning, have a greater impact than individual meditations. These effects suggest that depending on an individual's ability to develop coherence as well as what they visualize, they can have a profound impact of stabilizing weather and seismology. 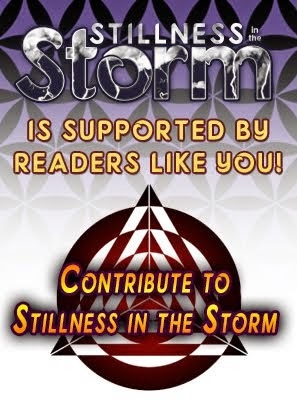 Global Mind Energy Reports is a new project developed by Stillness in the Storm. Depending on the response from the audience, these could continue and have additional information added. Please post your comments and let us know what you think. Justin Deschamps is a truth seeker inspired by philosophy and the love of wisdom in all its forms. He was formally trained in physics and psychology, later discovering the spiritual basis of reality and the interconnected nature of all things. He strives to find the path of truth while also walking it himself, sharing what he knows with others so as to facilitate cooperative change for a better future. He is a student of all and a teacher to some. Follow on Twitter @sitsshow, Facebook Stillness in the Storm, and minds.com. Like our work? Support this site with a contribution via Paypal or Patreon. This article (Global Mind Energy Report: Impact of Mass Meditations HIGH | February 24th, 2018) originally appeared on StillnessintheStorm.com and is free and open source. You have permission to share or republish this article in full so long as attribution to the author and stillnessinthestorm.com are provided. If you spot a typo, email sitsshow@gmail.com.